Jennifer's picture with her real-life hero is all things cute. We are almost at the end of 2018 and just like others TV actress Jennifer Winget is also busy recalling moments that made this year special. She has shared a couple of pictures with her dog Breezer calling him the biggest blessing of her life. She went on to elaborate that this furry friend is one of the most important family members. 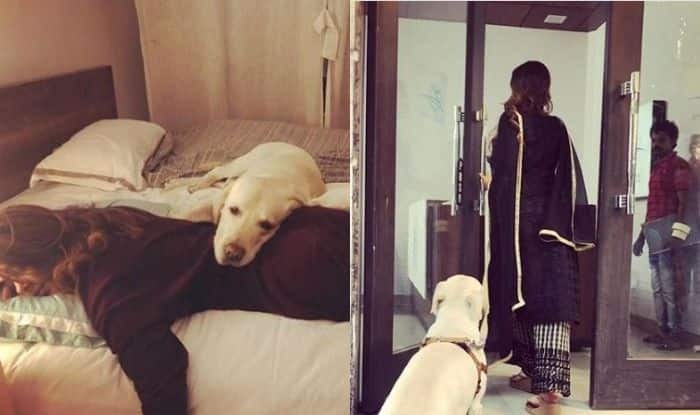 In the first picture, Breezer can be seen chilling with Jennifer on the bed and in the other one, he follows her on the sets. The pictures will surely melt your hearts. The year proved to be good for the actress when it comes to her work. She featured with actor Harshad Chopra in the popular show Bepannaah. It was based on the concept of giving love a second chance. Along with the innovative story, the show made headlines for Harshad-Jennifer’s sizzling chemistry. Though Bepannaah went off-air, its magic won’t get over anytime soon. In fact, at the ITA ceremony, the show won some prestigious awards.